SUCCESSFUL syndicators Triple Crown will aim to complete a rare Group 1 double at the Brisbane carnival after winning last Saturday’s Doomben 10,000 with Redzel with Gold Symphony being targeted at the Group 1 UBET Stradbroke Handicap. Redzel was the highlight of a stellar weekend for the Triple Crown team as their runners hauled in over $500,000 in prizemoney with stakes placings by Dothraki and Gold Symphony at Scone on Saturday and a win by Rockin’ Red Rocket at Kembla Grange backing up Redzel’s Group 1 success. The son of Snitzel became Triple Crown’s third individual Group 1 winner and joined Dothraki in taking his career earnings beyond $1 million. Redzel, a $120,000 purchase from the Magic Millions Gold Coast Yearling Sale in 2014, will now spell until the spring but his place in Brisbane will be taken by his Peter and Paul Snowden-trained stablemate Gold Symphony. The leading son of Reward For Effort ended his last preparation with victory in the Listed national Sprint at Canberra and is on target for a tilt at the $1.5 million UBET Stradbroke Handicap at Eagle Farm on June 10 after resuming with an excellent third in the Listed Luskin Star Stakes behind Clearly Innocent at Scone. “He’ll go to the Moreton Cup next on June 3 which will be a good preparation for him,” said Triple Crown’s Chris Ward. Dothraki will also target Brisbane after his third in the Listed Ortensia Stakes at Scone where his placing took career earnings for the $45,000 purchase to more than $1.1 million. Meanwhile Ward said preliminary discussions have taken place regarding Redzel’s participation in the inaugural running of the $10 million The Everest at Randwick on October 14. 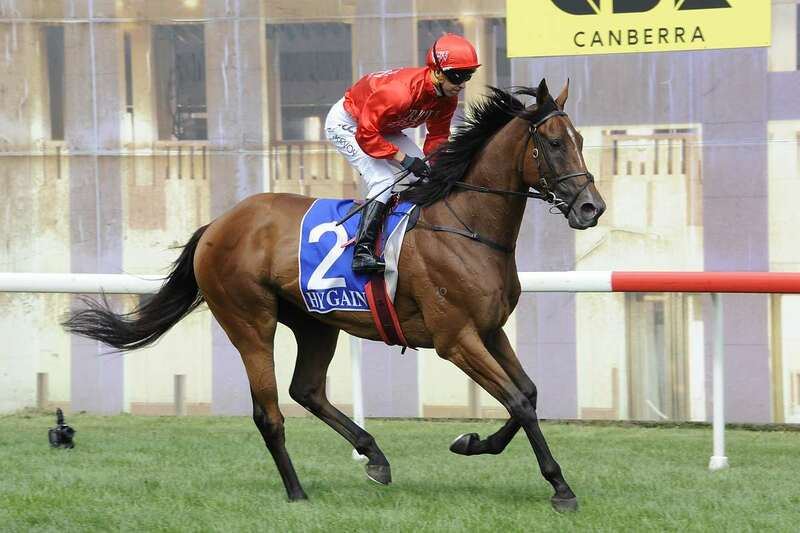 “We’ve had some interest in him for The Everest which is an exciting concept. I wouldn’t be surprised he ends up taking part in a race like that. “Hopefully something will formulate shortly.